Let’s face it, now that the motivation of tiny bikinis and warm summer afternoons has passed, our normal beauty routine tends fall behind. 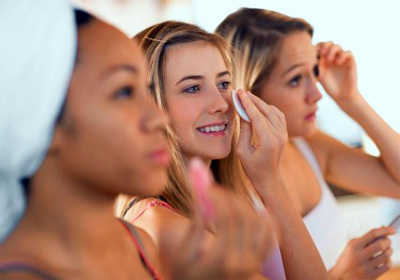 However, regardless if you’re hitting the slopes or in hibernation mode this winter, it’s crucial you keep up with a few beauty rituals regularly. Don’t Skimp on Sunscreen. Don’t be fooled by lower temperatures, overcast skies or rainy days. UV rays are just as strong when hitting the slopes as they are on the beach. “The easiest way to prevent sun damage and protect your skin is to apply an SPF of at least 30 every day - not to mention, look younger. Reapplying every 2 hours if in the sun is critical as well” says Dr. Nussbaum, Dermatologist and Brand Spokesperson for Sebamed. My Thoughts: I can relate to all of the above! I especially love to give my hair (the hair on my head, not on my legs) a little extra TLC during these colder months. My hair gets unbelievably dry and brittle in the winter. My favorite products for taming my frizz and keeping my hair soft, shiny and manageable are the Aviva’s Hair Rescue Renewal Masque which I use once a week. It leaves my hair very silky and revitalized. 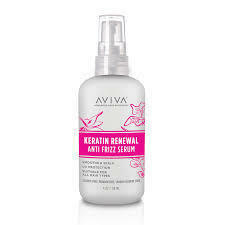 Right after washing my hair, I always apply Aviva's Anti-Frizz Keratin Renewal Serum. I distribute it throughout my damp hair and just let it air dry. My hair is left with amazing shine and beautiful bounce. It looks very healthy and feels soft and smooth. I am in love with this product!  Derm Tips for Thicker, Longer Hair All Year Round! Have you noticed how much better your hair looks and feels during the summer than the winter? While it's true that the warm weather promotes hair growth, treating your hair right and focusing on scalp health and nutrition is sure to bring results no matter the weather. Start With A Trim - Chopping your split ends will ensure less hair breakage, which can cause hair to look thinner at the ends and appear shorter. 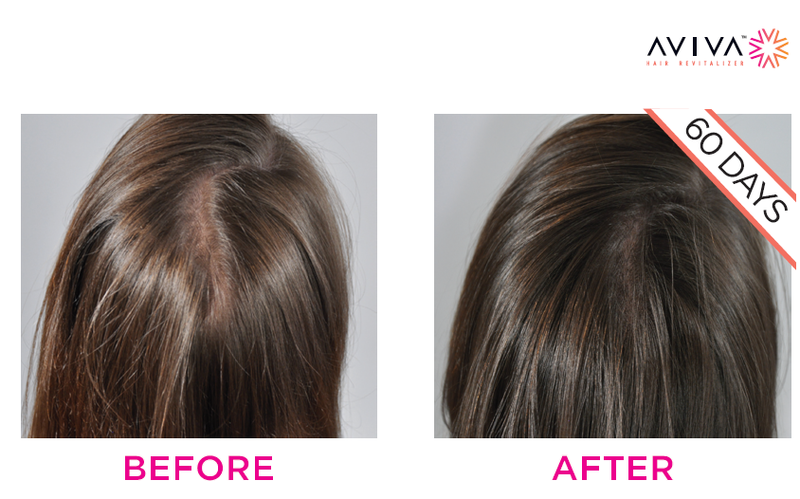 You want to start with fresh ends to see the fastest results. Stay Hydrated - Water is essential to not only our bodies, but for promoting hair growth scalp health. Constant dehydration can drain moisture from the hair roots and result in hair loss. Wear Up Dos - These styles like sock buns and braids protects your fragile ends from snagging or pulling on your winter scarves and sweaters. Get creative with your look! Focus on Scalp Health - Healthy hair starts at the root. Here's one easy fix: Aviva Advanced Hair Nutrition. 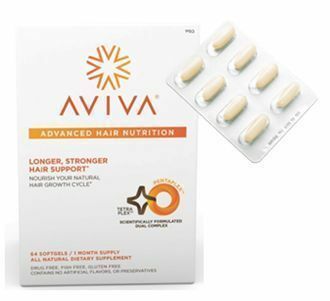 Aviva daily supplement is certified all-natural and formulated with 18 essential nutrients that your hair needs like Biotin, Vitamin B5, Folic Acid, Iron, and Pumpkin Seed Oil, to grow strong hair. Dr. Nussbaum specializes in general and cosmetic dermatology. She is also a Clinical Instructor of Dermatology at Weill Cornell Medical Center. Dr. Nussbaum completed her internship training in Internal Medicine at Memorial Sloan Kettering Cancer Center, and her residency in Dermatology at Weill Cornell-New York Presbyterian Hospital, where she served as Chief Resident in Dermatology. Among her numerous awards are the Outstanding House Staff Award, and the Women in Science Award. Dr. Nussbaum is a member of the American Academy of Dermatology, the American Society of Dermatologic Surgery, and the Women's Dermatologic Society. A native New Yorker, Dr. Nussbaum graduated with honors and distinction from Cornell University and attended Weill Cornell Medical College in Manhattan, where she was the recipient of the James Metcalf Polk Award for achieving highest academic honors in her graduating class. She also served as President of Alpha Omega Alpha, the national medical honor society. Dr. Nussbaum is currently in private practice on the upper east side of New York. Disclaimer: I receved a sample of this product to review and to keep. All opinions are my own. 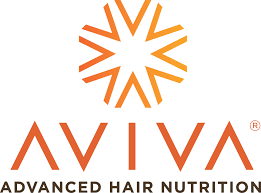 At Aviva, we believe that healthy hair is a crucial part of overall personal wellness. As the accessory you wear every day, your hair endures a lot. Each and every strand is consistently exposed to sun, sweat, pollution, and harsh chemicals from shampoos, conditioners, dyes, styling tools and other environmental factors. On top of that, we often don’t get the full amount of necessary nutrients for basic hair health and balance. We’re on a mission to create hair happiness! 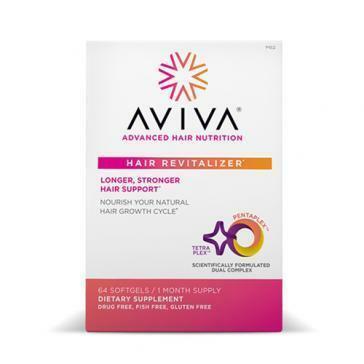 I was sent a one month supply of Aviva Hair Revitalizer to review. I have been taking it faithfully every day for 30 days now. 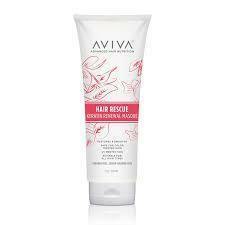 I was very excited to try Aviva because my hair just seemed lifeless and very dry. It would break off at a certain point. 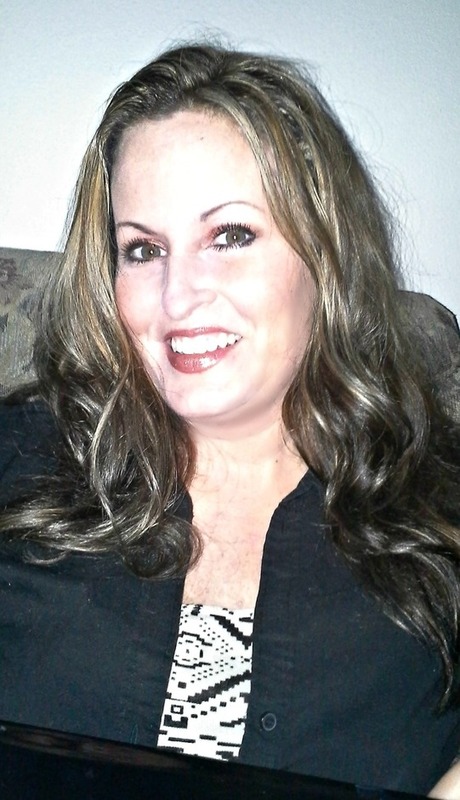 I have truly noticed a huge difference in my hair after taking Aviva. First of all, it has been growing at a faster rate than I have ever experienced. It is silky soft and full of life! My hair looks much fuller and looks amazingly healthy! I love it!!! Disclaimer: I was sent a sample of this product to review and to keep. All opinions are my own.